Knowing how to read people is essential to success. And no one did it better than Sherlock Holmes! He had the incredible ability to instantly ‘read’ people he met. He could tell where an individual just came from, the person’s trade or character with a single glance. Now his method is available to you! The Sherlock Holmes Method is a systematic and accurate way to evaluate people. It uses simple questions and practical principles to instantly size up strangers. The book is crammed with easy to follow examples that Holmes used to evaluate anyone. You will find simple tips and specific techniques on how to scan people instantly. 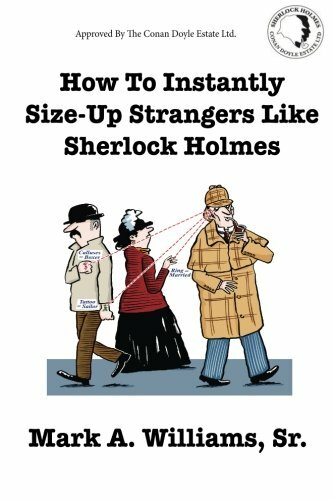 This book gives you step-by-step instructions so you can improve your ability to size up strangers just like Sherlock Holmes! Learn his methods and then apply them in your everyday life with the strangers you meet! It’s elementary — once you know his methods!